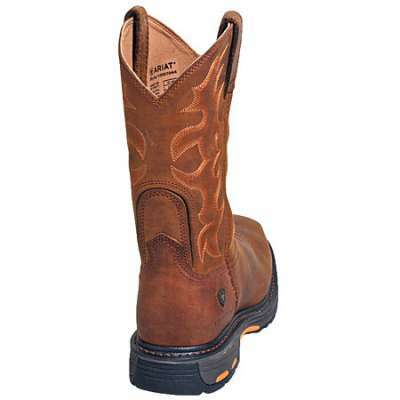 These Ariat 10007044 Men’s Workhog Steel Toe Brown Cowboy EH Boots are flexible and comfortable. 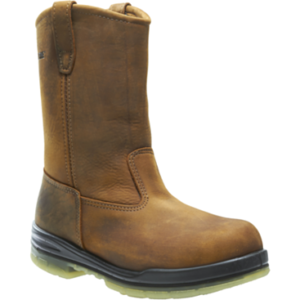 This sleek cowboy footwear is also made with ASTM-rated steel toes and other work-friendly features because you’re going to do more than dance when you put them on for your work day. 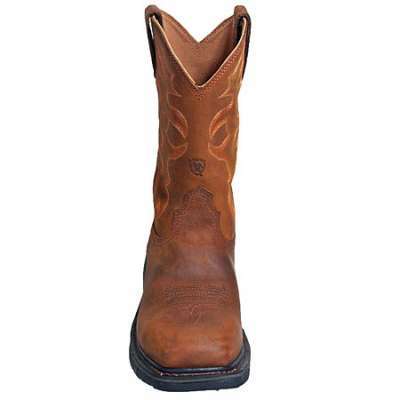 The tall, brown shafts are 13 inches tall and embellished with classic cowboy detailing. 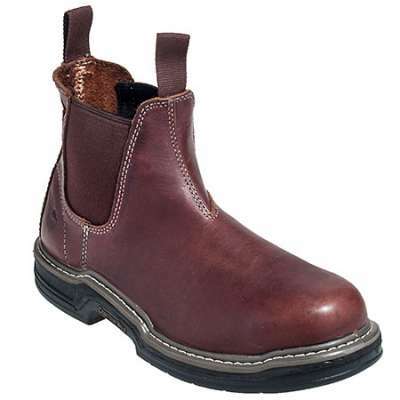 The U-turn entry system allows your feet to slide in easily, as it helps the Ariat boots fit you comfortably. 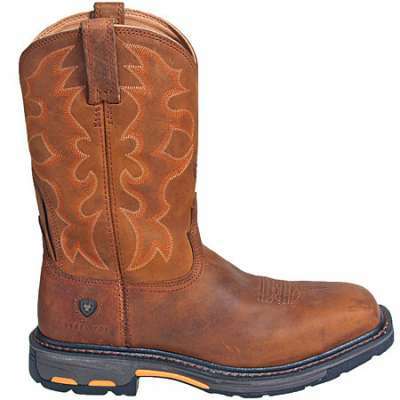 The classic cowboy design is perfect for line-dancing and tough enough for your active workday. 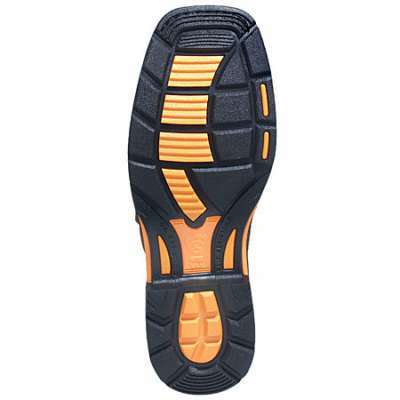 A layer of lightweight EVA foam softens your steps, protecting the rest of your body from harsh, jarring impact. The EVA is right on top of the tough, Duratread outsoles. Shock-resistant and tough, the urged soles are abrasion- and oil-resistant, so common chemicals won’t wear them away. 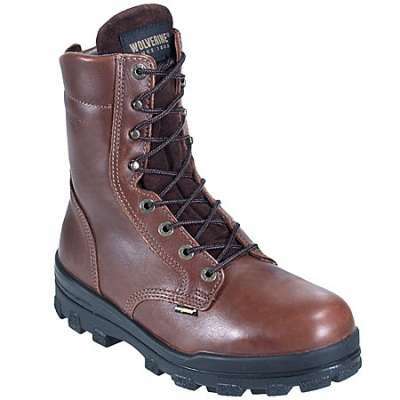 The slip-resistant tread on the brown boots keeps you steady, even on wet, slick flooring. The ATS Max platform system is built right in, giving you torsional stability to keep you properly aligned and also prevent foot fatigue. 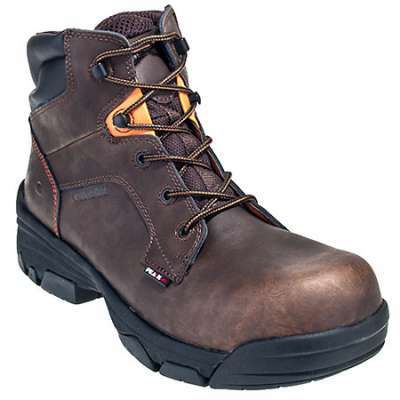 The Duratread soles of the steel toe boots have also been rated for resistance to electrical hazards, soaking up as much as 600 volts of dangerous electricity. The steel toes have been approved to meet ASTM F2413-05 M/1/75 C/75 standards of impact- as well as compression-resistance. The 90-degree heels are tall enough lift to keep you steadier on ladder rungs as they “bite” onto the rungs.